Although my home town of Glastonbury is saturated with independently run cafes, the neighbouring town of Street is the commercial opposite. 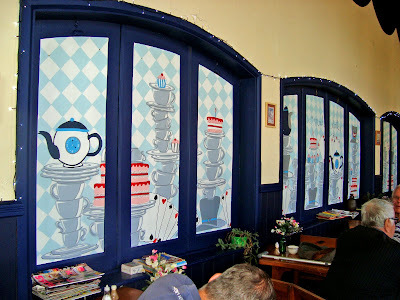 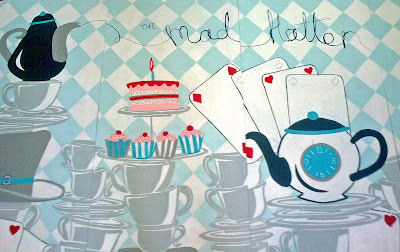 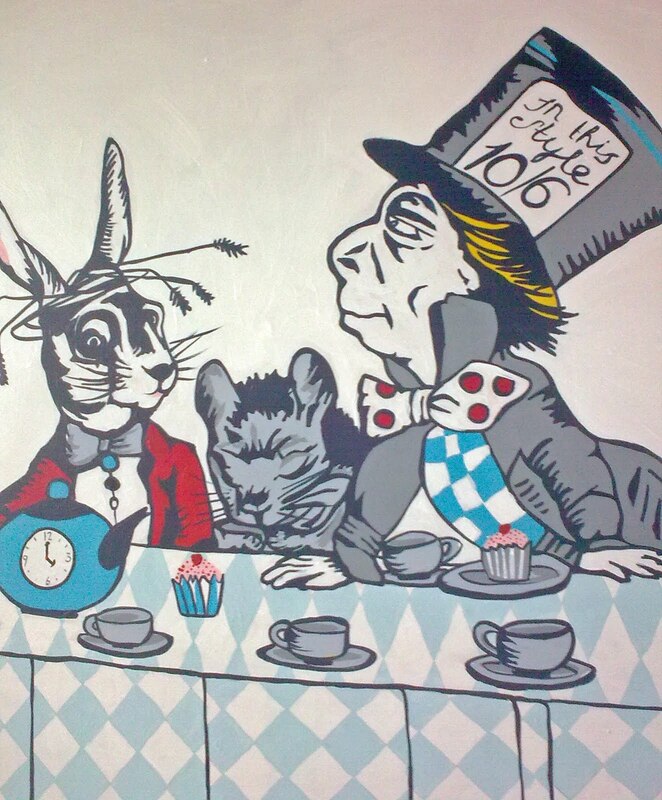 Across the road from Starbucks, Costa and Subway, the Mad hatter cafe in Street High st,is thriving on people who want no fuss builders tea, jacket potatoes with coleslaw and good old fruit cake made on the premesis. 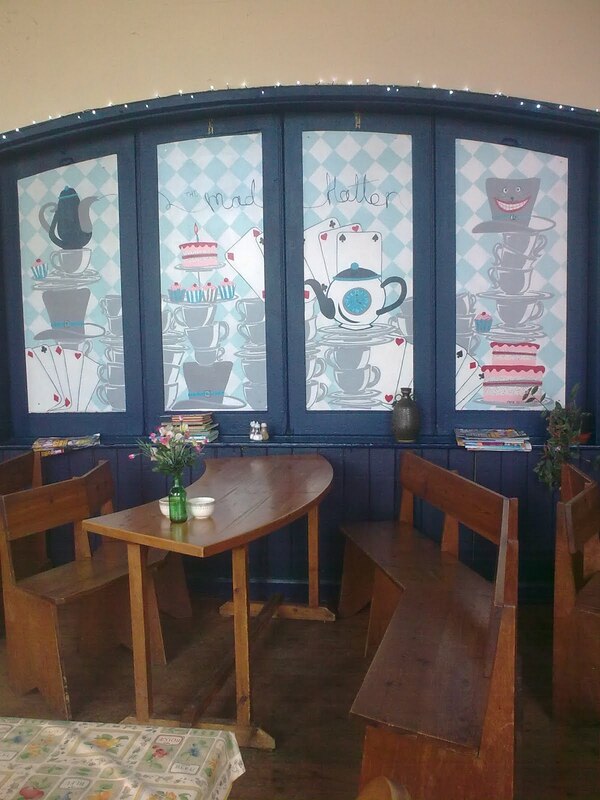 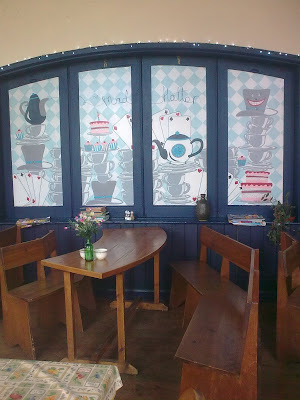 Over the last few months i have been slowly decorating the shuttered walls of the cafe to brighten the space and bring some fresh new colours into an old stone building.